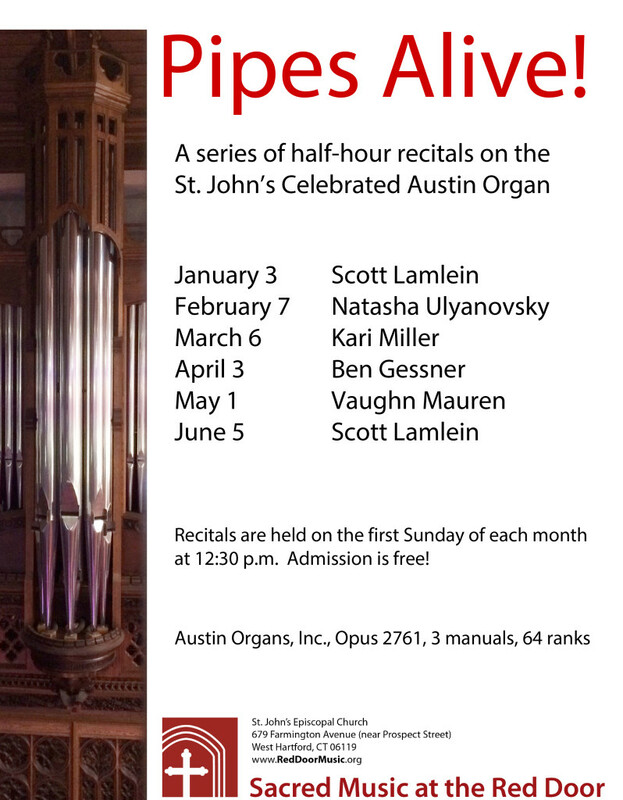 Join us for our very popular Pipes Alive! 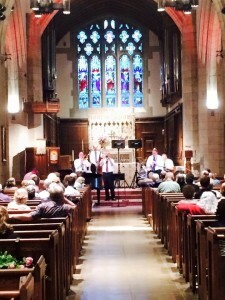 concerts – first Sunday of each month at 12:30 pm. 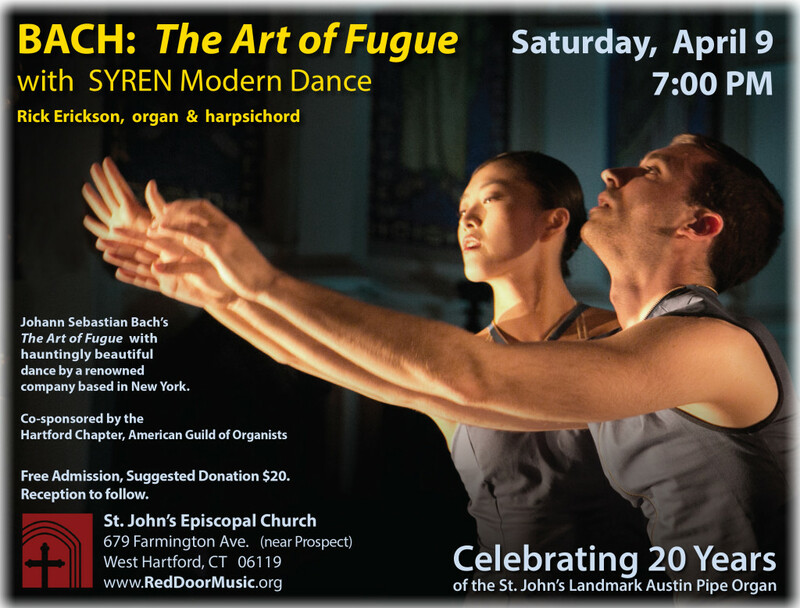 Organist Vaughn Mauren plays Bach, Howells, and Vierne on March 6: Click here for details. 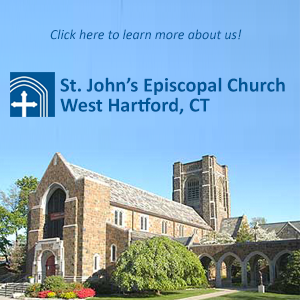 This concert is made possible in part by the Marjorie Jolidon Fund of the Greater Hartford Chapter, American Guild of Organists. Click here for concert details! Organ and Saxophone at February Pipes Alive! 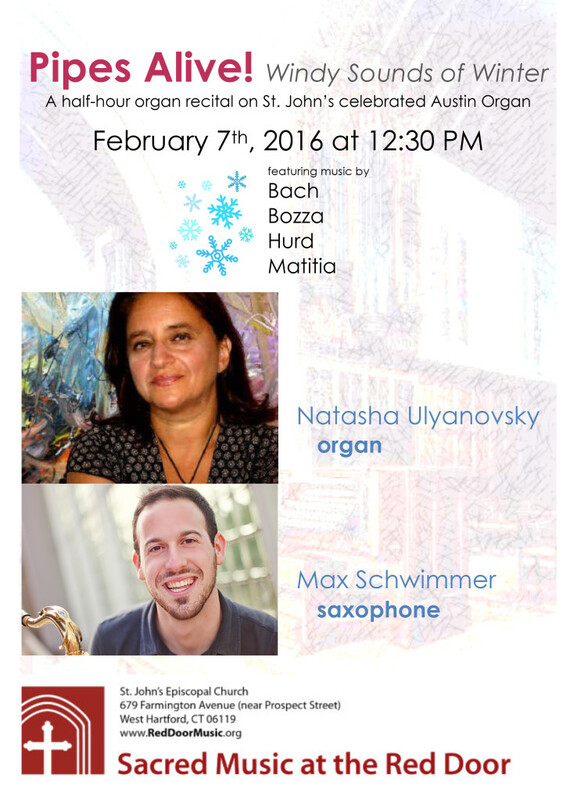 Join Natasha and Max for a unique half-hour concert! Click here for details. 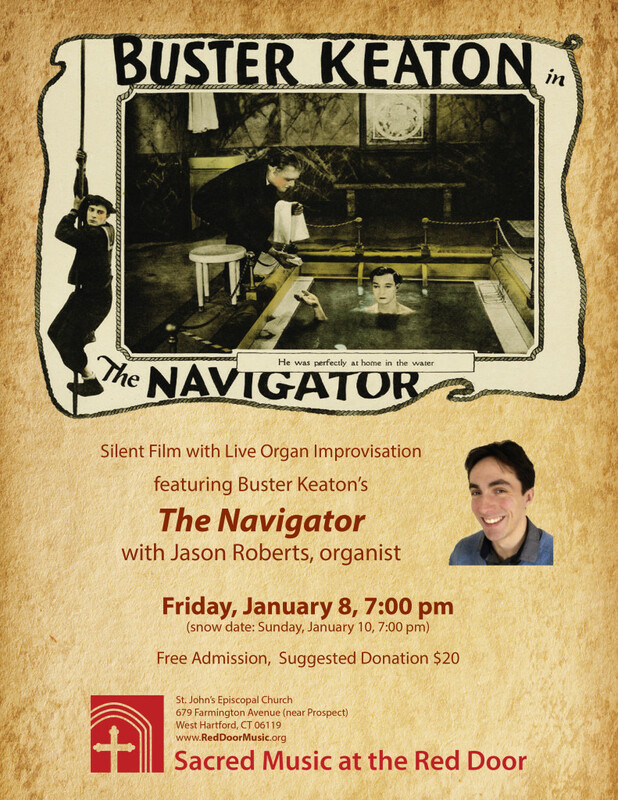 Join us for The Navigator, with live organ accompaniment! Click here for details on this fabulous event! Click here for full details, and see you there! Join us on Sunday for this “bonus” Red Door event! Click here for full details. Sunday, 1 November 2015, 1:00 – 2:00 p.m. 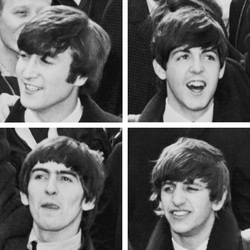 Explore the music of The Beatles in this 60-minute multimedia presentation (part history and part musical analysis) spanning the full 1960’s: beginning with the band’s seminal visits to Hamburg, continuing through Beatlemania, and concluding with Abbey Road. The program will be supplemented with audio clips of music and excerpts from interviews with the band members. 2012 University of Hartford graduate Aaron Krerowicz is the United States of America’s only full-time professional Beatles scholar. 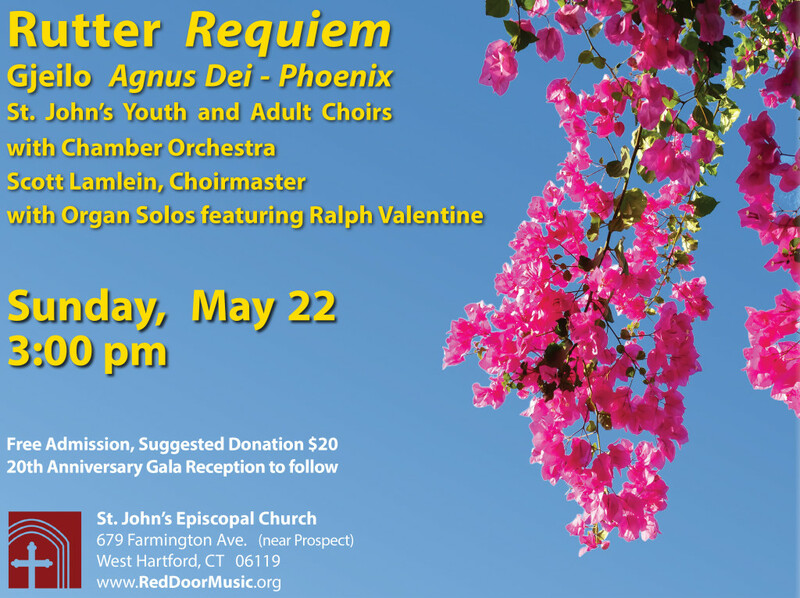 He sang with the St. John’s choir from Easter 2011 through June 2015. In the not quite 5 months since his departure from St. John’s, he has presented his Beatles research 51 times in 12 different states, including twice in London and thrice in Liverpool. Aaron’s first Beatles book,”The Beatles & The Avant-Garde”, was published last year; his second, “The Beatles: Band of the Sixties” (based on this presentation), was released as an Amazon Kindle ebook in April; and his third, “From the Shadow of JFK: The Rise of Beatlemania in America”, was published in June. All three books will be available for purchase at the conclusion of the program. 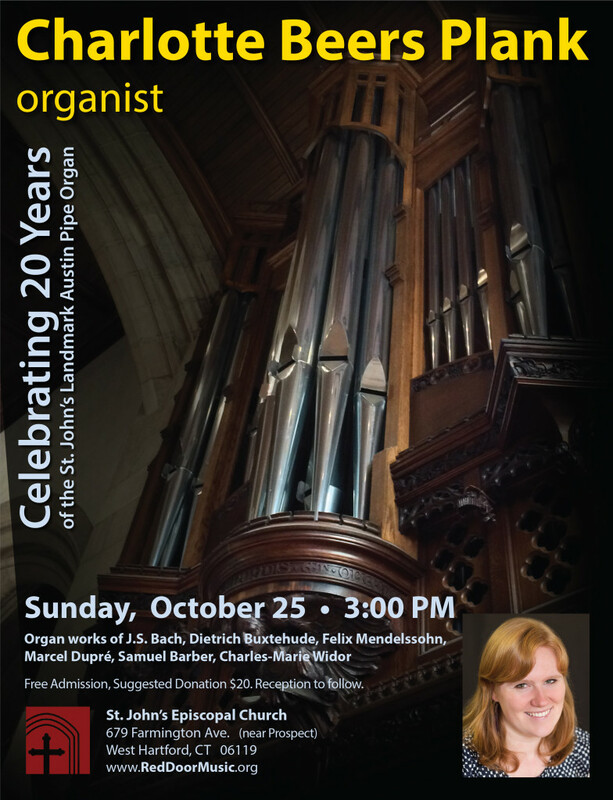 Join us on Sunday, October 25, 3:00 p.m., for a spectacular organ concert by Charlotte Beers Plank! Download the printed program here: Charlotte Beers Plank Organ Program; visit this page for more details, and check out Charlotte’s preview video below! Join us for the opening concert of Season 5! 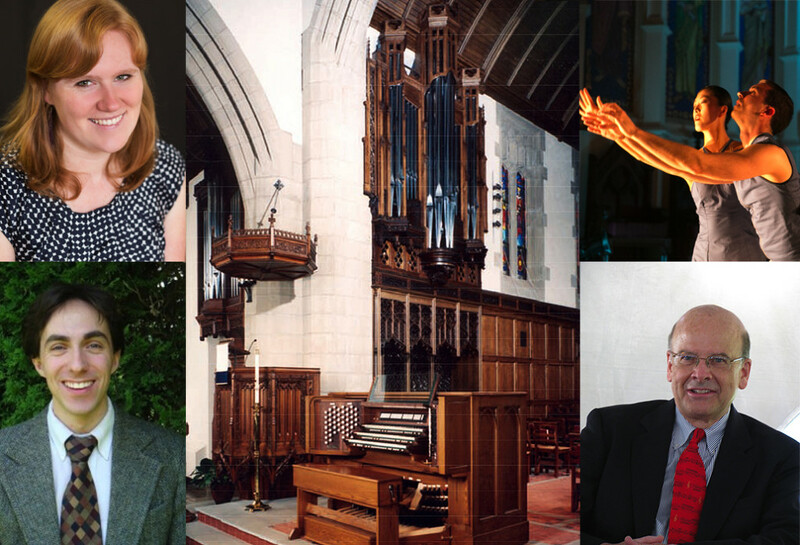 We begin the year with Charlotte Beers Plank, organist, as we celebrate 20 years of a remarkable pipe organ! Click here for details, and see you there. 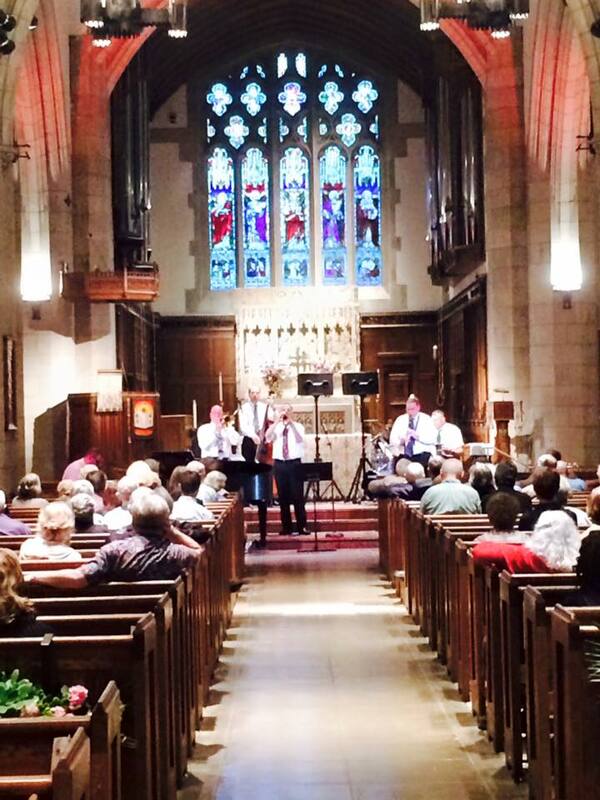 This past Friday, we completed our fourth season of Sacred Music at the Red Door in grand style, with a tremendous toe-tapping performance by the Hot Cat Jazz Band! It was a great celebration of the past year, where we reached scores of people with the great gift of music. And now, we’re off and running with a full set of concerts for 2015-2016! I’d like to invite you to be part of our exciting new season. Check out our updated website for a full listing of events. 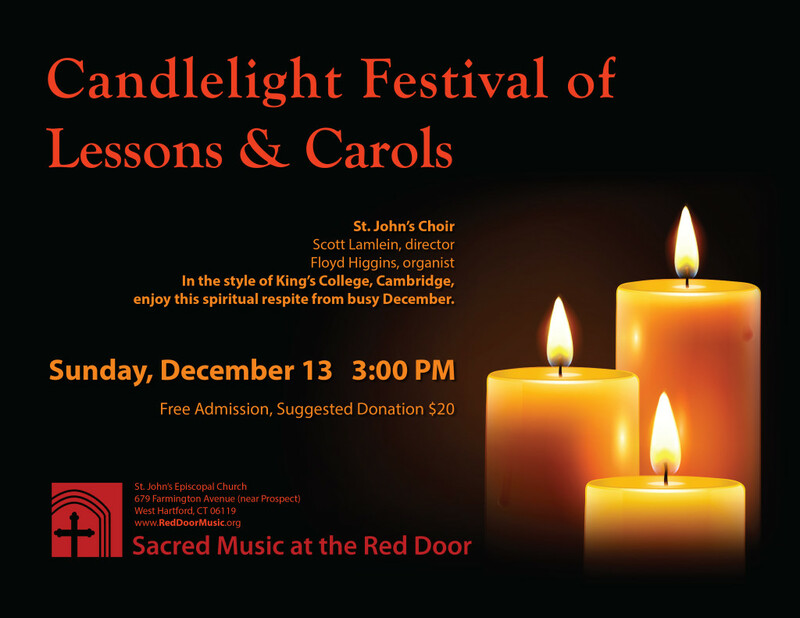 Concerts make the music of the organ and choir come alive, with innovative and varying programs, such as organ with sacred dance, silent film with improvised organ accompaniment, and our very popular Pipes Alive! half-hour concerts. The Concert Series invests significantly in our youth, the future of music, making possible a twice-monthly theory class and annual choir camp for our Youth Choir. Concerts are open and accessible to all, with no admission charge. I thank you in advance for your generous donation to this exciting program. 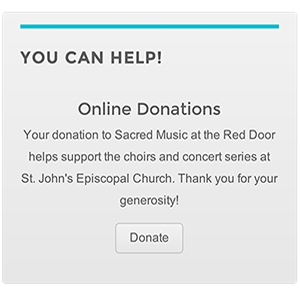 Please click here either to pledge or give today, and don’t hesitate to be in touch with me directly with your questions or comments about our music ministry.